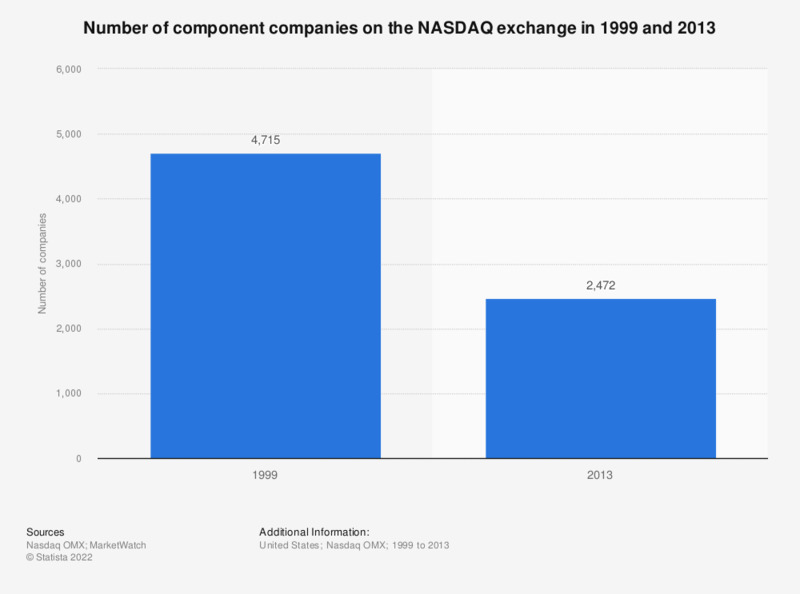 This statistic presents the total number of companies listed on the NASDAQ Composite Index in 1999 and 2013. It was found that at year end 2013 the index was composed of 2,472 companies. This was a drop from the figure in 1999 which reported a year end total of 4,715 component companies listed on the exchange.